ANÚNA: "Sanctus", de Anúna, Celtic Heartbeat, 1993. ANÚNA: "Heia Viri", de Invocation, Celtic Heartbeat, 1995. ANÚNA: "Maria Matrem Virginem", de Omnis, Anúna Teoranta, 1995. ANÚNA: "Dicant Nunc", de Deep Dead Blue, Gimell Records, 1999. 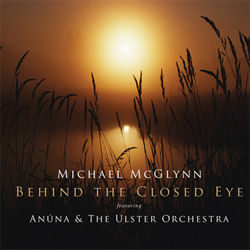 ANÚNA: "1901", de Behind The Closed Eye, Anúna Teoranta, 2003. ANÚNA: "Riu Riu", de Cynara, Anúna Teoranta, 2000. ANÚNA: "Lux Aeterna", de Sensation, Anúna Teoranta, 2006. 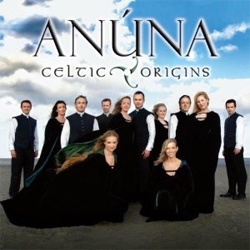 ANÚNA: "Our Wedding Day", de Celtic Origins, Elevation Management, 2007. ANÚNA: "Nobilis Humilis", de Sanctus, Anúna Teoranta, 2009. ANÚNA: "Illumination", de Illumination, Anúna Teoranta, 2012. ANÚNA: "The Maid Of Coolmore", de Revelation, Anúna Teoranta, 2015. NICHOLAS LLERANDI: "Memphis", de Standby, Nicholas Llerandi, 2015. 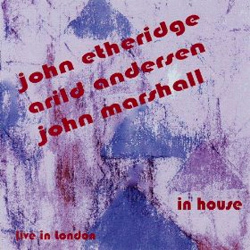 JOHN ETHERIDGE / ARILD ANDERSEN / JOHN MARSHALL: "Dans", de In House, Dyad Records, 2007. CONTINUO: "Basiri", de Inverted Maps, Continuo, 2015. 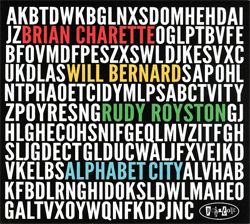 BRIAN CHARETTE: "West Village", de Alphabet City, Posi-Tone Records, 2015. 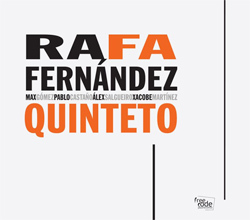 RAFA FERNÁNDEZ QUINTETO: "Rio Mao", de Rafa Fernández Quinteto, Free Code Jazz Records, 2013. YUL BALLESTEROS: "Just In Case", de Nina Tales From The Inner Space, Yul Ballesteros, 2015. VALENTIN CAAMAÑO TRIO: "Yardbird Suite", de The Joy, Free Code Jazz Records, 2014. TELMO FERNÁNDEZ & MARCOS PIN DUOLOGY: "Polka Dots And Moonbeams", de Take A Second, Free Code Jazz Records, 2015. 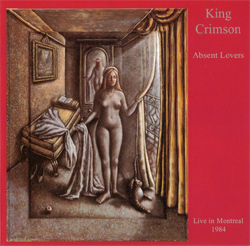 KING CRIMSON: "Three Of A Perfect Pair", de Absent Lovers, Discipline Global Mobile, 1998. ASAF SIRKIS TRIO: "Stoned Bird", de The Monk, Sam Productions, 2008. 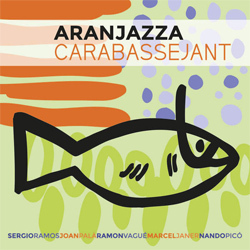 ARANJAZZA: "La Presó De Lleida", de Carabassejant, Quadrant Records, 2015. BRIAN CHARETTE: "People On Trains", de Square One, Posi-Tone Records, 2014. FELIPE VILLAR TRIO: "Ella", de Outro, Free Code Jazz Records, 2015. PETE OXLEY & NICOLAS MEIER: "Bluster", de Chasing Tales, MGP Records, 2015. OH TRIO: "Berce", de Cancionero Gallego, Producciones Efímeras, 2014. 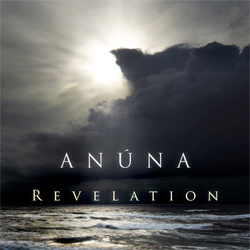 ANÚNA: "One Last Song", de Revelation, Danú, 2015. 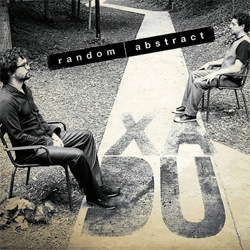 XADU: "Workplace", de Random Abstract, Moonjune Records, 2015. SCOTT HENDERSON: "Church Of Xotic Dance", de Vibe Station, Scott Henderson, 2015. BRUCE BARTH TRIO: "Oh Yes I Will", de Live At Smalls, Smalls Live, 2010. DAVID REGUEIRO SWINGTET: "Segment", de Bird Lives, Free Code Jazz Records, 2015. GONZALO TEJADA QUARTET: "Norma Jean Baker", de Norma Jean Baker, Errabal Jazz, 2014. MOSICAIRES: "Lorién", de Rechirán, Mosicaires, 2014. GJALLARHORN: "Suvetar", de Sjofn, Gjallarhorn / Resistencia, 2000. 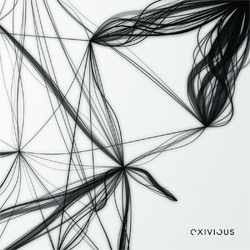 EXIVIOUS: "Alphaform", de Liminal, Season Of Mist, 2013. INNA ZHELANNAYA: "Premature", de Izvorot, Inna Zhelannaya, 2014. TOHPATI: "Rahwana", de Tribal Dance, Moonjune Records, 2014. BRIAN CHARETTE: "Split Black", de Alphabet City, Posi-Tone Records, 2015. TELMO FERNÁNDEZ ORGAN TRIO FEAT. PHIL WILKINSON: "Lennis", de The Soul Jazz Beat Vol. I, Free Code Jazz Records, 2015. CHRIS POTTER UNDERGROUND ORCHESTRA: "Imaginary Cities 4: Rebuilding", de Imaginary Cities, ECM, 2015. 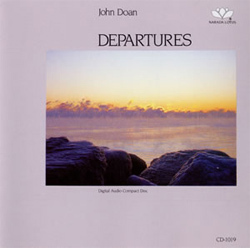 JOHN DOAN: "Tra Amici", de Departures, Narada Productions, 1988.